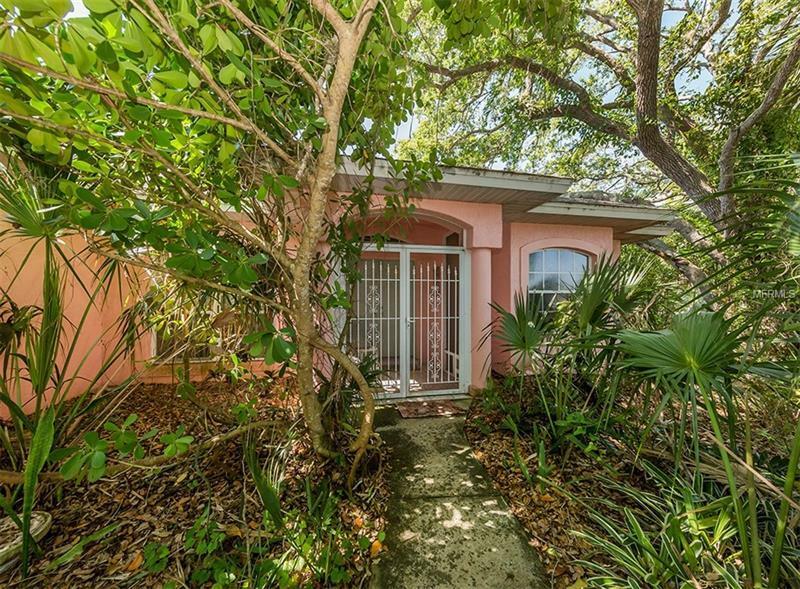 Florida Tropical Oasis greets you when you come visit this 3 Bedroom 2 bath home nestled in the tropical plants and Florida foliage. Privacy is a given with the way this home is build around the tropical setting. Pool area is setback in the quiet backyard and more Florida foliage to give you the feeling that you are away on vacation. Plenty of square feet to spread out with this 1705 square foot home under air. Invite those cold Northern relatives to come enjoy a vacation at your new home or use this home as an annual rental and turn your investment into a profit. To beautiful enclosed lanias to enjoy that are built on this home. Call today to set up a showing for this beautiful home.